Submitted by Dan Dooré on Wednesday, May 16, 2018 - 14:20. 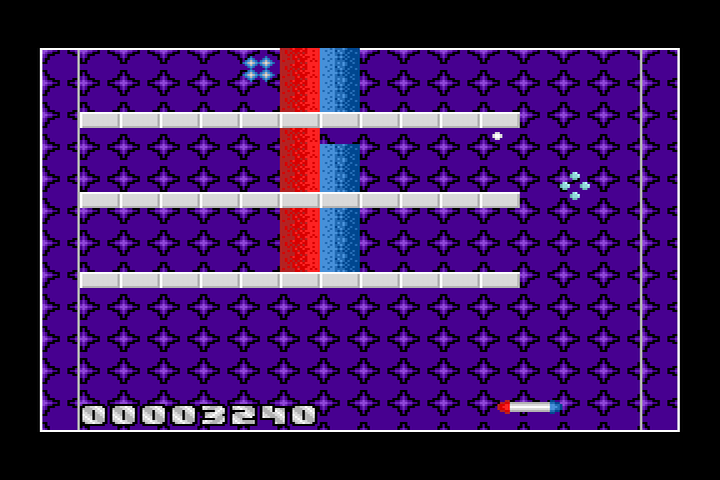 An arkanoid-styled game. 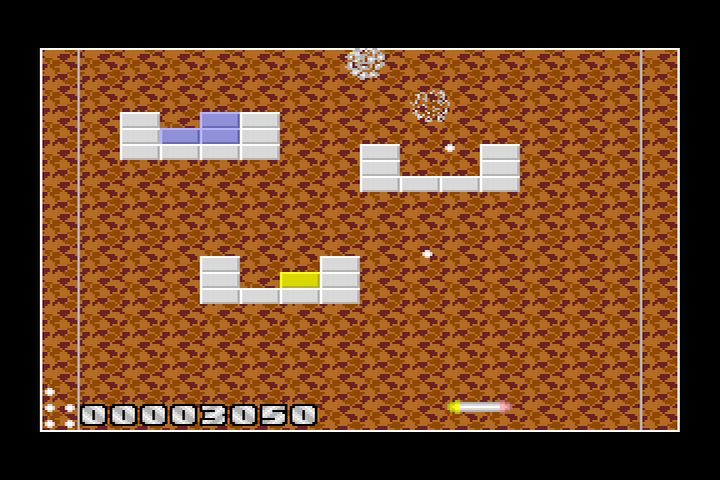 Fast, smooth and staggeringly difficult, with lots of power-ups and other features. 150 levels plus bonus screens. Best played with using the Mouse Interface . If wall-smashing's your aim, then this is your game. 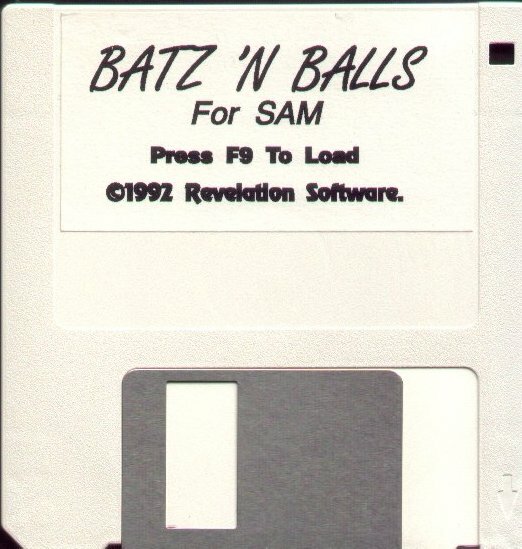 If you've checked out the cover demo, you'll already know what a nifty little number Batz 'n' Balls is. Basically, David Gommeren has done for Arkanoid what he previously did for Tetris - jazzed it up and given it a new lease of life. 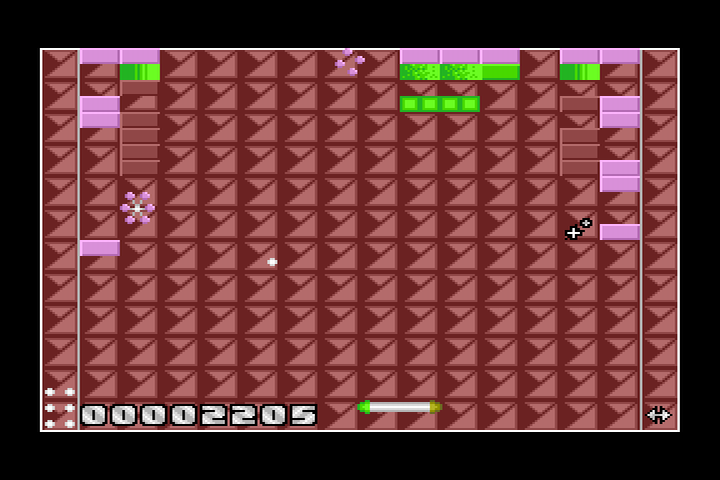 The game contains 150 levels, bonus screens, power-up icons and a multitude of tricks and tweaks. Graphics are bold and smooth, although there's really not that much you can do with screens full of bricks, and the soundtrack is one of those subtle bass numbers that bypass the ears and slide straight into the brain. Gameplay is tough, perhaps too tough, but jolly rewarding as you fight on to discover just what the game has in store for you next. Thank heavens for the password system, which allows you to jump straight to every fifth screen. Apart from your own lack of bat-jiggling talent, the main obstacles between you and success are the aliens that zip constantly round the screen. They're harmless - you can zap them with a touch of the bat - but if the ball hits them then it rebounds off at a random angle. This results in the kind of exclamations that shatter both light bulbs and illusions. If you think these little fellows are bad, wait 'til you meet the end-of-section baddies. 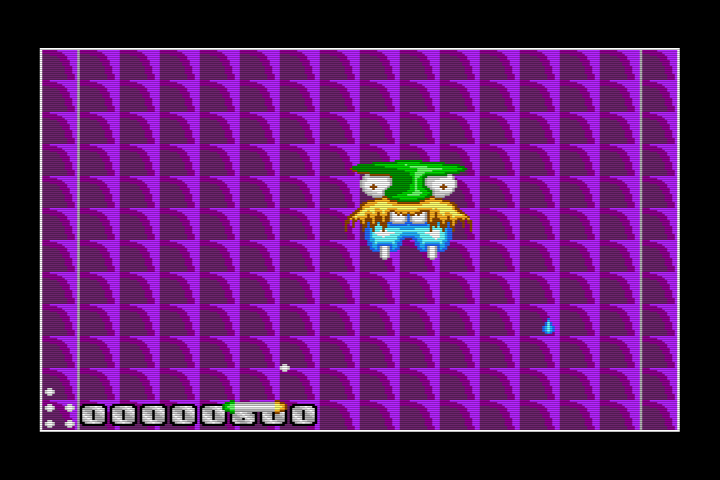 These are absolutely massive-aliens that fly around shooting as you attempt to zap them with a well-aimed ball. This is the best bit of the game, it's just like a mini Space Invaders. Coo, eh? Whizzy and whizzo, this mindlessly playable game takes Breakout about as far as it can go. For maximum effect, invest in a mouse. It'll translate your panicked movements perfectly, and adds to the fun no end. 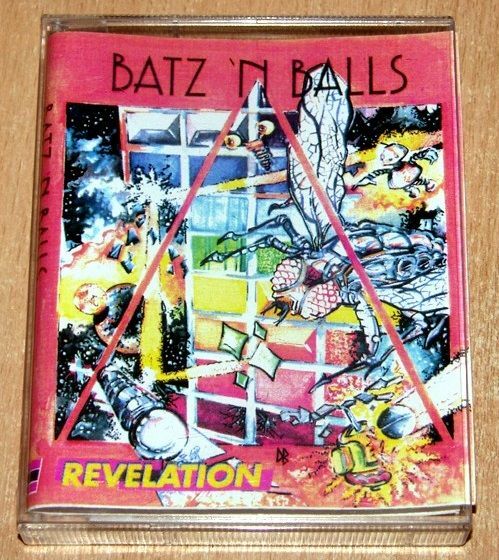 Make no mistake, Batz isn't going to convert new fans to the genre but current ones will lap it up.